Why we love it: Organic oils combine with rich pigments for nourishing, hydrating coverage. 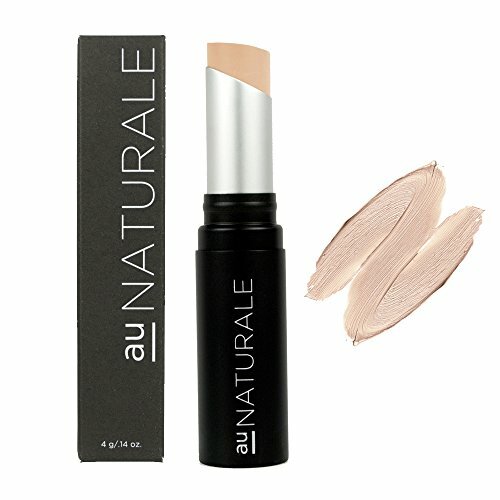 This concealer offers opaque coverage with a natural finish that blends beautifully into the skin for under eye camouflage and blemish hiding. A little goes a long way with this concealer! We love to apply it by gently warming a swipe of the product on the back of the hand and then gently pressing the concealer into the skin with fingertips for a seamless and silky smooth look. Organic Limnanthes Alba (Meadowfoam) Seed Oil, Caprylic/Capric Triglyceride, Organic Ricinus Communis (Castor) Seed Oil, Organic Simmondsia Chinensis (Jojoba) Seed Oil, Euphorbia Cerifera (Candelilla) Wax, Brassica Abyssinica (Abyssinian) Oil, Organic Cucurbita Pepo (Pumpkin) Seed Extract, Manihot Esculenta (Tapioca) Root Starch, Organic Lavandula officinalis (Lavender) Oil, Titanium Dioxide, Zinc Oxide, Iron Oxides, Mica, Silica. Formulated without animal bi-products, synthetic preservatives, nano particles, gluten, parabens, fillers, dyes or toxins, our Completely Covered Creme Concealer is 100% natural, cruelty-free, vegan and made in the USA.